Call-center agents need to represent the brands to which they provide outsourcing customer services. Hence, it is crucial for them to receive adequate training, as it enables them to keep the brand image intact. While interacting with customers, agents need advanced software solutions to deliver efficient customer service. They require extensive training to handle the latest call-center solutions efficiently and offer the best service using all its features. The following tips may help in providing disciplined training to call center agents. Before moving on to the tips, let’s see the overview of the different types of training for outbound call-center agents. The outbound call center agents may need two types of training to learn the basic techniques and sharpen their skills. This training takes place at the beginning of a call-center agent’s career. It covers the necessary policies, product/service description, sales techniques, and compliance procedures. During this training, the agents also learn sales procedures and how to deal with the customers. It is crucial for trainers to analyze customers’ feedback to create a comprehensive training program. A business may use this feedback to understand where a brand needs improvement and what agitates the customers. A trainer may even use customer feedback to train the agents on how to efficiently handle a critical situation or to resolve a common issue that many contacts experience. The latest outbound call center solutions can automate tasks, such as automatic collection of contact data from different business tools and synchronize data on a single platform. With thorough training on how to efficiently handle the work, the agents can optimize their performance, while the customers are delighted by the quick and professional services offered. New on the job, agents have no clue about the impact of schedule adherence on the leading performance indicators, such as service level. Hence, such vital parameters must be apprised during training. Supervisors may even inform the agents about the KPIs or performance metrics that call-center managers usually assess or their impact on the performance evaluations. The trainers may also help the new or experienced agents learn how to hit the KPI benchmarks. A trainer may use real-life examples through role-playing. It is an effective way to understand the reactions of different types of customers for call-center agents and improve their communication skills. Supervisors may use actual customer-service interactions as examples to point out the weaknesses or strengths of each communication. Trainers may allow two agents to work in pairs during the training and let each trainee point out the strengths/weaknesses of another at the end of a training session. ‘Gamification’ is another engaging method to train the outbound call center agents. Supervisors may use good competitive games to bring out the best in each call-center agent. Practical experience delivers the best knowledge. It is crucial for the trainee to handle real-time calls and learn from their practical experience. 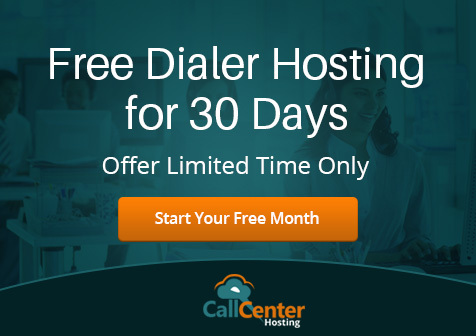 To avoid mistakes, supervisors need to train the agents on how to properly handle the outbound call center solutions features before they take real calls. Novice agents need to learn soft skills as well. Hence, supervisors must inform them about the acceptable customer-service language. During the training, trainers or supervisors may point out which expressions to use or which words to avoid. A call-script enables the new agents to understand the image or voice of a brand. How can a call-center agent represent a brand without knowing its core objectives? A trainer may define a brand’s history and values to help the agents understand a brand’s mission and vision. For example, if the supervisors believe that FCR is more important that AHT, then they should mention this requirement when training the call-center agents. With clearly defined goals, the agents can deliver an experience that aligns with a brand’s strategy. To strengthen the skills of outbound call center agents, trainers may focus on two aspects of communication. A trainer may point out the importance of clear articulation to the agent while a supervisor can focus on the importance of avoiding jargons. An empathetic agent can deliver the best experience to customers. Hence, a trainer may point out how important it is for an agent to view an issue from a customer’s point of view. Encourage agents to understand the complete context during their conversation and offer personalized solutions to customers’ queries. Agents should be given enough freedom to create resolutions that successfully meet the needs of the customer. Ongoing training sessions are essential for both novice and experienced agents. During the training programs, supervisors may point out the weaknesses and improvement areas for the agents with constructive feedback. It enables a supervisor to measure an agent’s performance. On the other hand, it allows an agent to measure their level of progress or identify areas that need improvement. Soft skills trainers can also properly direct the agents by sharing case studies. These tips will help outbound call center supervisors and agents to sharpen their skills and efficiency. A precisely devised training program is a necessity for both novice and experienced call-center agents. The training requirements may vary depending on their skills, level of performance or experience. 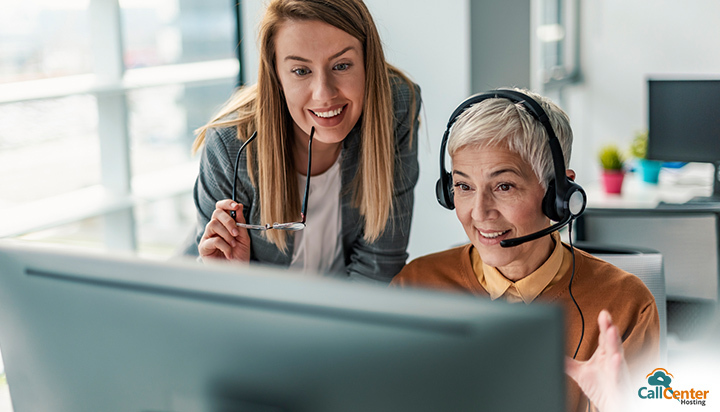 To reduce the attrition rate of agents and help them build a deeper connection with customers, a supervisor can create a suitable training program for all call-center agents.